The skin around your eyes, which is also known as the periocular area, can be up to ten times thinner than the skin on the rest of your face, making it more translucent, fragile and susceptible to damage. If you give the skin around your eyes the care that it needs, you will be able to keep this area looking smooth, healthy and youthful for years to come. The skin around your eyes is more prone to dryness than the skin on the rest of your face. Because the area contains hardly any sebaceous glands, meaning that natural oils are not created here. Since these natural oils are essential when it comes to your skin’s natural lipid barrier, the poorer protective barrier around the eyes leaves the skin here so much more vulnerable to environmental damage. The answer lies in moisturizing, since the primary role of a moisturizer is to form a thin film over the surface of the skin, creating its own protective barrier. Wondering whether you need to be using a dedicated eye cream? The main one is that eye creams tend to be formulated with gentler, milder ingredients. This is due to the fact that the skin around the eyes is more sensitive, so can often react with ingredients used in facial creams. Since the skin on the rest of the face is thicker than the skin around the eyes, facial creams are also often thicker than eye creams in consistency. This can sometimes cause a problem for the sensitive skin around the eyes, as a cream that is too thick can suffocate the area, leading to breakouts. However, if you have been using a facial cream around your eyes with no problems, then you can continue to do so, so long as you are aware of the potential side effects that may come of this. 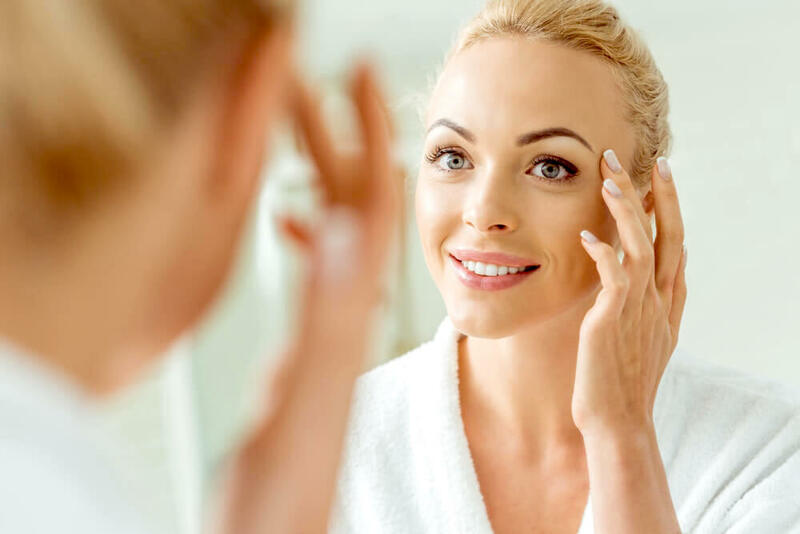 As mentioned above, an eye cream is not an absolute must, but many are often formulated with ingredients that target the needs of the skin around the eyes. Wondering what some of these ingredients are? Since the skin around the eyes does not contain any oil glands, eye creams usually compensate for this by having a higher oil content than facial creams. For this reason, while you may be able to use your facial cream around your eyes, avoid using your eye cream on the rest of your face, as the excess oil may lead to breakouts. 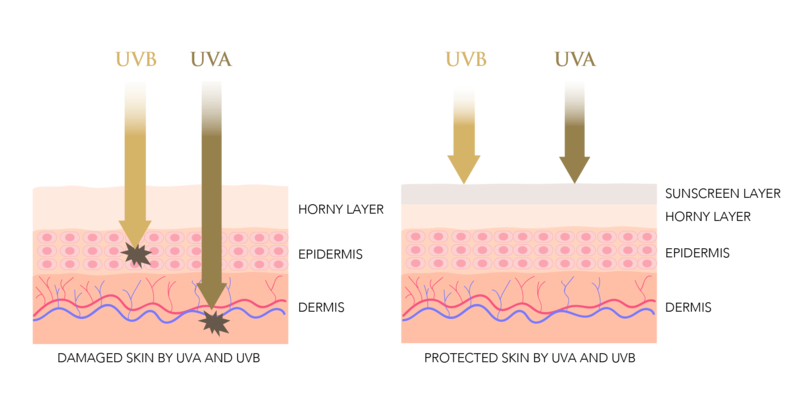 The skin around your eyes is very thin, which means that it’s extremely vulnerable to potential UV damage. 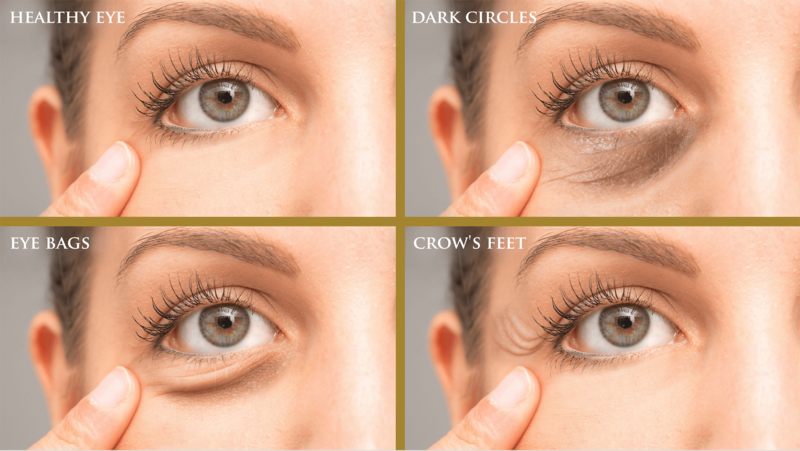 This is one of the reasons as to why the area around your eyes will experience fine lines and wrinkles before they show up on the rest of your face. By ensuring that you are diligent about sun protection. A sunscreen is essential, but make sure that you choose one that has been formulated for use around the eyes. In addition to using a sunscreen, you need to also provide your eyes with a few other physical barriers from the sun. A pair of quality, UV-blocking sunglasses is the first step, and a style that wraps around your face will ensure that the sides of your eyes are protected, as well as the front. A wide-brimmed hat will also help to give your entire face some extra protection. Since the skin around the eyes is so delicate and fragile, you need to be gentle when touching this area. Do you energetically scrub at your skin when removing eye makeup or cleansing your face? This is something that you need to stop doing immediately, as it will only exacerbate the thinning of your skin, while causing inflammation to this sensitive area. Stretching and rubbing are also a big no, as any sort of unnecessary force will only damage the skin here. Wondering how to apply a product to the skin around your eyes without rubbing it in? Use the point of your ring finger, as this is the place that exerts the least amount of pressure, to gently tap a product into your skin. You may not realize it, but the skin around your eyes is hugely impacted by your sleeping habits. Well, to begin with, a lack of sleep results in the retention of blood and fluid underneath the skin around the eyes, which manifests as dark circles and eye bags. This will be exacerbated if you tend to sleep lying on your stomach, as this contributes to puffiness. To prevent this, try propping your head up with an extra pillow each night, as this will reduce the amount of fluid that pools around your eyes while you sleep. Eyes that are tired and sleepy will also be much drier, leading to extra blinking, as well as wanting to rub your eyes. Neither of these actions are going to do the skin around your eyes any favors. While eye drops can help in the short term, this is not a long term solution. Do you use a cotton pillowcase? If so, each time your face rubs against this, friction is caused, which ends up significantly contributing to fine lines and wrinkles. In fact, many dermatologists can instantly tell which side a person favors during sleep just from examining which side of the face contains more lines. Silk or satin pillowcases are the answer, because these enable your skin to simply glide over the fabric, rather than rubbing against them. While propping your head up higher each night, and using a silk or satin pillowcase, may help the skin around your eyes to deal with sleep deprivation, nothing quite compares to actually getting between seven to nine hours of quality sleep each night. You now know how important quality sleep is when it comes to preventing puffiness around the eyes, but, if you are reading this while you already have puffy eyes, that knowledge is not going to help you right now. So, what can you do to clear away the puffiness? As mentioned above, cold temperatures help to constrict visible blood vessels and perk the skin around the eyes back up. An easy way to get this effect is by storing your skincare products in a refrigerator. This will make them so much more cooler when you apply them around your eyes, boosting their effect. Do you use quite a strong exfoliant? Or how about your cleanser? If so, these need to be kept well away from the sensitive skin around your eyes. Everybody’s skin is different, so even if a product states that it is safe to be used around the eyes, you will still need to exercise caution with this, especially at the beginning. The problem with harsh products is that they strip away the skin’s natural oils, which is great for those who have oily skin. However, as mentioned above, the skin around your eyes does not contain any oil glands, meaning that it is already so much drier. Using a harsh product in this area, and stripping away whatever oils and moisture happen to be remaining, will only exacerbate the dryness, leading to an increase in fine lines and wrinkles. Of course, the area around your eyes does still need to be cleansed and cared for, so make sure that you opt for the gentlest and mildest products and ingredients available. The first is a fabric version that is placed over your eyes to help you to sleep. Since this encourages the production of melanin, which promotes quality sleep, these masks are a great way to improve your sleep and therefore improve the health of the skin around your eyes. In addition to these sleeping eye masks, you can also purchase gel masks that have been designed to be used around the eyes. These are filled with a cooling gel, which, when placed over the eyes, reduces inflammation, puffiness and dark circles. Make sure that you choose one that has been formulated with mild, beneficial ingredients, and without any artificial dyes. Wondering why, since the gel does not actually come into direct contact with your skin? Many of these masks can end up with leaks, so you do not want the gel causing breakouts or any other sort of negative reaction if it does touch your skin by accident. Collagen masks can also be useful, since the decrease of collagen due to age is most visible around the eye area. However, standard collagen molecules are too large to be absorbed by the skin, so make sure you opt for a mask that has been formulated with hydrolyzed collagen, as these particles are much smaller, making them easily available to your skin. 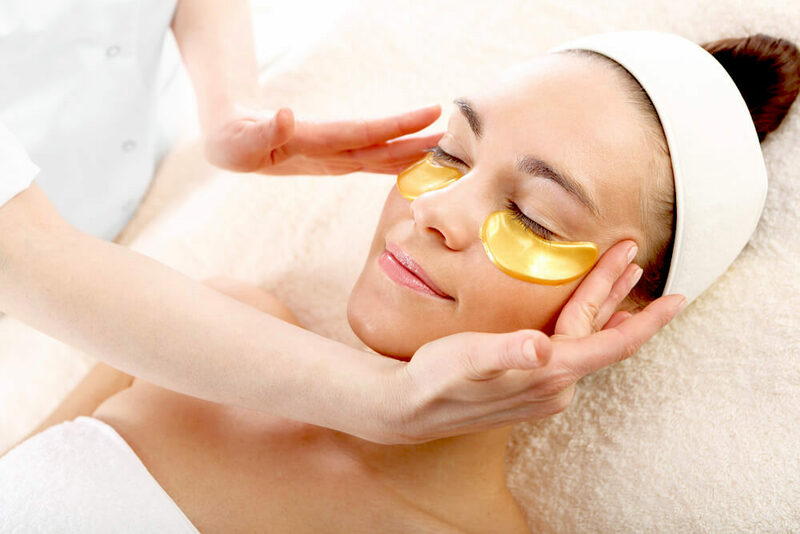 Just about any hydrating facial mask will also help to boost the health of the skin around your eyes, providing it with much-needed moisture to plump the skin back up. If you suffer from poor circulation, then this means that it takes much longer for toxins to be removed from your body. When these build up in your skin, especially around your eyes, they can cause a multitude of different issues. A massage in this area can help to increase lymphatic circulation, which not only clears out toxins from your skin faster, but also speeds up the rate at which oxygen and nutrients are delivered to the skin around your eyes, keeping this area so much healthier. This means that any massage techniques need to be carried out in the most gentle way possible. One way to do this is by identifying the acupressure points around your eyes, before using your ring finger to apply gentle pressure to this area for a few seconds. There are other eye massage techniques that you can try, but make sure you opt for one that uses a gentle pressing or tapping motion, rather than one that rubs and pulls at your skin. The skin around your eyes is so fragile, and does need some extra thought and care. From using the right skin care products to adjusting your sleeping habits, each of these tips will contribute to a much healthier and happier complexion. Will You Try Any of These Spa Facial Trends in 2019? 1 Response to "How to Care for the Skin Around Your Eyes"